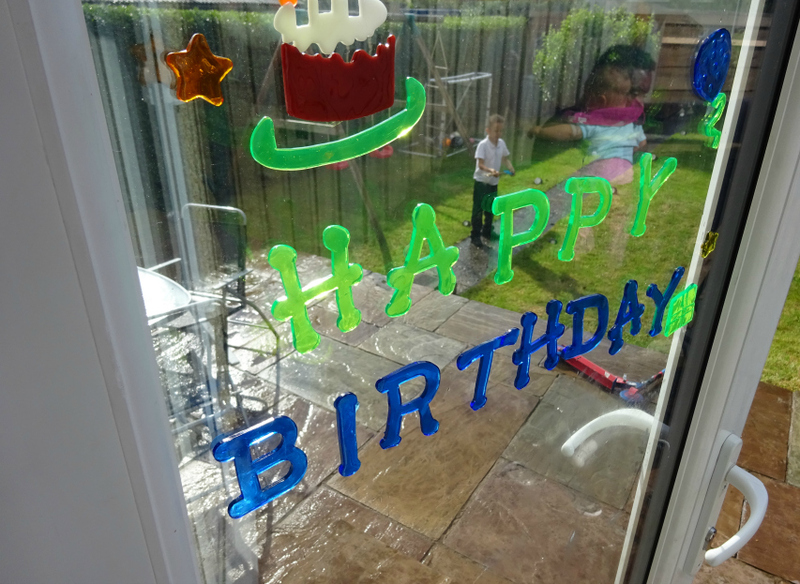 It was Aaron's sixth birthday on Wednesday (hence the stickers above on our window) and his birthday party is on Father's Day. So with that in mind I really ought to be in bed. Very tired tonight. 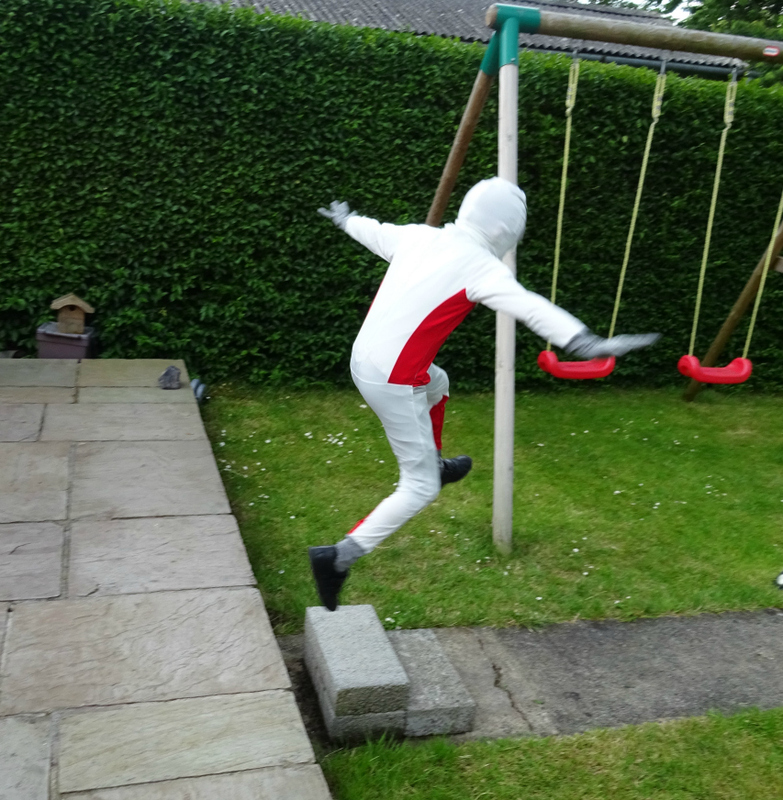 Morph Suits sent me an email the other day, with a quiz: What Superhero is your Dad most Like? We did it straight away and it came out as the Hulk. That's Aaron's Dad not mine. Anyway, we are now reviewing one of their Morph Suits and with it being Aaron's birthday they sent it immediately - so nice. 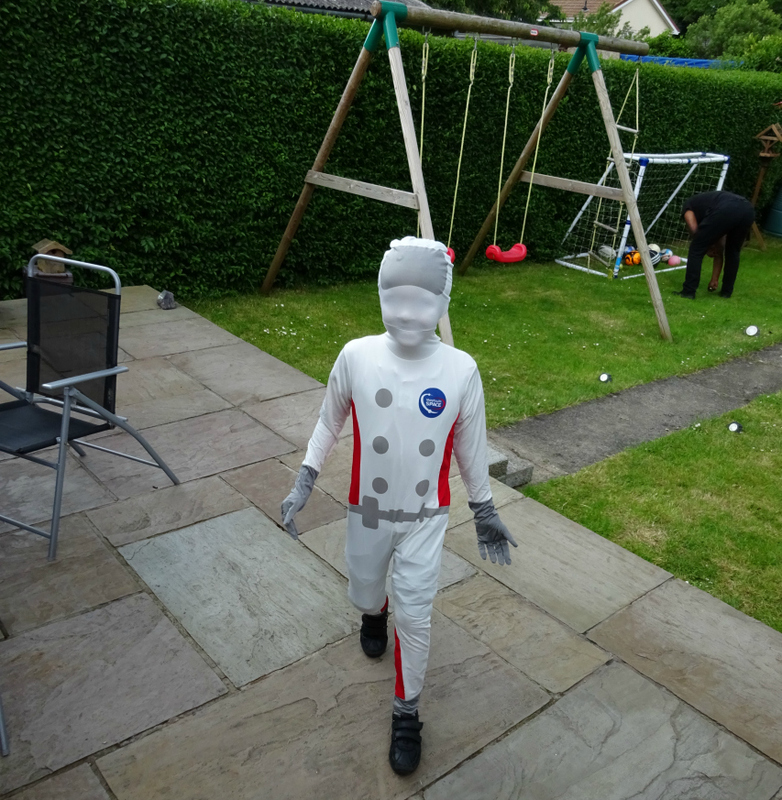 It's an Astronaut one as below. As you can see below the Morph Suit covers the whole body head and all! Back to Father's Day. I ordered two cards from Moonpig.com this one for Daddy and this one for Granddad and they both love them. You can't beat a personalised photo card. I love that accidental capture - it's perfect. Happy birthday Aaron, I can't believe he is 6! I hope Aaron had a lovely birthday and has a fab party!